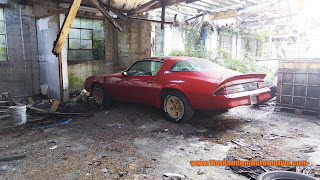 Rotting in Style - 1980 Camaro Z28 Barn Find! As always, it’s been a while. Christmas was my first day off in 113 days before having a day off. Since then, I’ve only had about two. Anyway… Since you know I like abandoned cars, you should have guessed I like abandoned buildings too. I love the broken glass, the rust, and decay. Now, two years ago in was in Atlanta on business. When I’m in a new area, or somewhere I’m only every now and then, I step out of my hotel, pick a direction, and walk. And that is how I found this. You ready? A 1980 Camaro Z28 barn find! I only had my phone, so excuse the quality of the pictures and videos. I only got the driver side and rear driver side. The building was locked and the only way in was through a half broken window that was right on the edge of a 15 foot drop into bushes that I was already half standing on anyway trying to hold onto the window frame while avoiding the broken glass. It wasn’t exactly fun, but it was entertaining. Does that make sense? It was also right on a street, and there were some guys down the road working at another building. I’m a Ford guy, so if this was a Mustang, I’d risk the lacerations. However, it was really sweet to see a barn find. 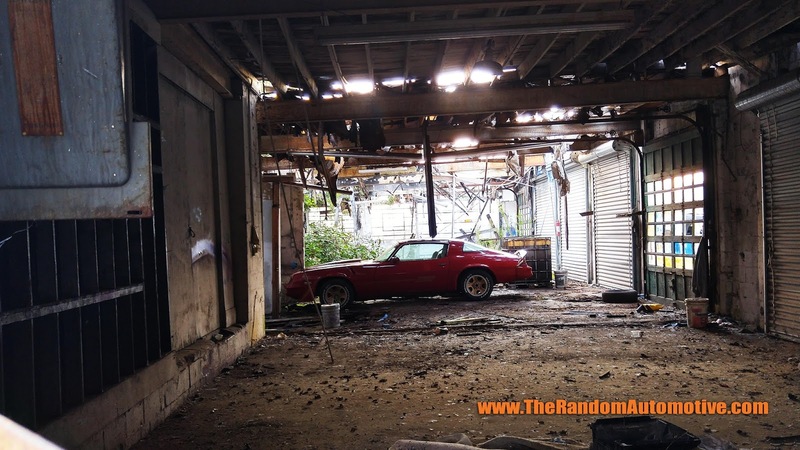 I also figured I had to show it, since you guys have really seemed to like abandoned Camaros in the past. So there you have it. A really nice barn find. Now, you have friends that like Camaros, right? Share this post and video with them! Make sure you head on over and subscribe to our YouTube channel. Don’t forget to like us on Facebook, and be sure to follow us on Twitter for some exclusive content! Thanks for stopping by.